Earlier this week, we reported that the next Far Cry game, Far Cry: New Dawn, had its title and cover art leaked ahead of its official reveal. 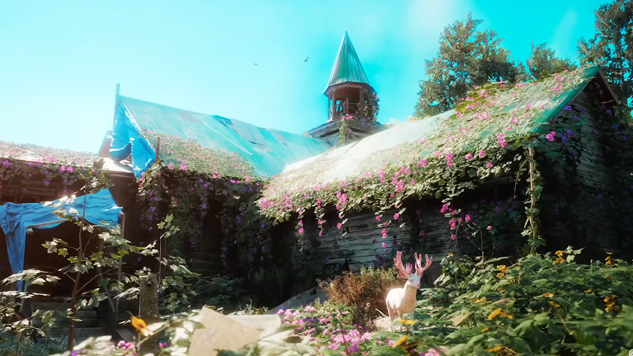 Ubisoft has now released the first gameplay trailer for what is the direct stand-alone sequel to Far Cry 5. After a global nuclear blast, New Dawn will revisit Hope County, Montana, 17 years after the catastrophic event. The trailer depicts a peaceful settlement that seems to be under the threat of two women and their gang. “You need to understand something: the only currency left in this world is power,” announces one of the two women when they reach the settlement. The visuals in the trailer are stunning, saturated with vibrant colors and beautiful wildlife, juxtaposed with the destruction that is to befall the settlement. Also, can we just say that two women of color appearing on the cover of the game and seemingly serving as two of the game’s central characters is already pretty rad? We’ll wait to see how the game handles these characters, but right now, it’s something to appreciate, considering how few black women are allowed to be front and center in videogames. Lastly, from the looks of it, dogs can hop in cars with you to join the ride in the passenger seat. Thanks, Ubisoft; this is a very important and welcome feature. This game doesn’t come as too much of a surprise to those who finished Far Cry 5, as one of the endings hints at New Dawn. It is surprising, however, that the game will be released so soon: Far Cry: New Dawn is slated for a Feb. 15, 2019, release. You can watch the beautiful trailer below.